Since the very moment it was announced, there has been an endless stream of chatter and speculation surrounding J.J. Abrams’ Star Wars: The Force Awakens, and that won’t end for some time. It’s probably the most anticipated movie since the first prequel, The Phantom Menace, so you have to expect that. 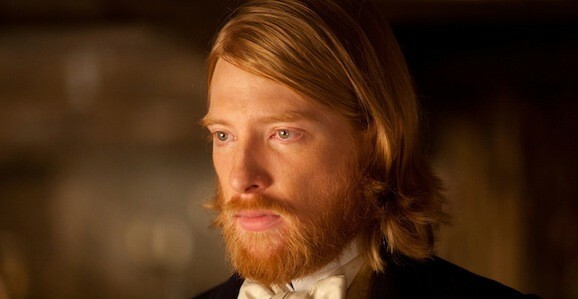 We’ve heard all kinds of rumors and reports about the various characters, old and new, but of the fresh additions to the franchise, there hasn’t been all that much circling around Domhnall Gleeson’s character, that is until now. There are loads of potential spoilers beyond this point. You’ve been warned. Also, this is an unofficial report from unnamed sources, so take it with a grain of salt and make of it what you will. One more time, there are possibly big, ruin-a-chunk-of-the-movie spoilers to be found beyond this point, so do what you must. We recently heard that Daisy Ridley’s character is Han Solo and Princess Leia’s daughter, which is an idea that has been bouncing around since the very early going. 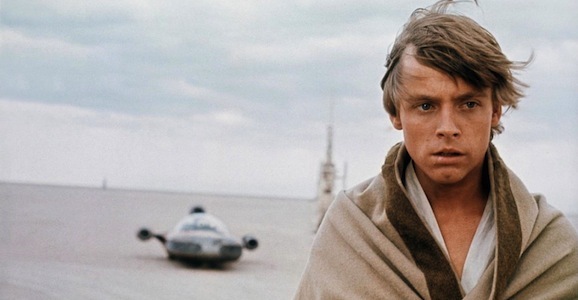 This latest report, from Making Star Wars and their “trusted sources” (again, maybe don’t put all your eggs in this basket, though they do claim to have heard the same report from four different people), indicates that Gleeson plays the son of Luke Skywalker (we knew he’d find a romantic partner eventually). That’s not a horrible shock, the Harry Potter star bears a passing resemblance to a young Mark Hamill, and this is another idea that has been around for a while. There are, however, new details about this possible spawn of Skywalker. According to the report, Gleeson is indeed Luke’s son, but instead of following in his father’s footsteps, he has joined the Empire, which we’ve heard is still out there, though in a diminished capacity after the events of Return of the Jedi. He is the head of the new chrome stormtroopers, or shock troopers as some people are calling them, and he is tasked with hunting down John Boyega’s Finn character, who we’ve heard has gone AWOL. He is reportedly the commandant and Gwendoline Christie’s character, a badass, scarred-up warrior, serves as his right hand. This latest report also supports something we heard a little bit ago, that he is also a double agent. He reportedly left the Rebel Alliance, or whatever form it has taken in the last 30 plus years, because he discovered that they were building a secret weapon of mass destruction, only to find that the Empire is doing the same thing. According to the article, he has a “strong moral compass,” and doesn’t think these weapons should be allowed to exist, on either side, and has made it his mission to destroy them both. That sounds like the Skywalker blood talking right there, and apparently this will have a big impact on the future of the franchise. We recently heard that Luke and Rey (Ridley’s character) are protecting an ancient Sith burial site or tomb from Kylo Ren, as it holds a destructive evil power. If this report about Gleeson’s character is true, that sounds like the starting point for a number of potential arcs in the future. Maybe this is a side story in The Force Awakens, but comes to the forefront in the later Episode movies. The start of a war is certainly one hell of a launching place for a new trilogy. As with everything related to Star Wars: The Force Awakens we’ll have to wait and see for ourselves on December 18, but I’m liking the way these latest rumors sound. How about you? I’m most interested in which new characters (if any) are Force sensitive and begin to experience Force powers after the Force “Awakens” in them. Other than the trailer, is there any confirmation that Kylo Ren is male? Thinking a twist could be under all those ragged robes that’s actually Luke’s wife and mother of Gleeson. Might explain why she/they know about the tomb and the Andy Serkis character is masterminding the whole thing. Also brings that whole family conflict to the core story.